Among the leftist sites out there, Jezebel has to be one of the most entertaining, and they definitely kept up with that attitude when they tackled Donald Trump attacking Megyn Kelly. For a site that claims to be for women, they certainly managed to rip apart Kelly, in spite of a headline that theoretically implied that they intended to school Trump on how to treat women. Bless their hearts, they bought into the garbage being spewed by vocal Trump supporters, basically claiming that the Republicans in general had no problem with the previous comments about rapists coming up from Mexico. Of course, there had been objections to that language from GOP rank and file voters, as well as other presidential nominees. Also, they figured it would be fine to suggest that conservatives don't have a problem with Trump as long as he's picking on anyone other than their chosen few, like Kelly. 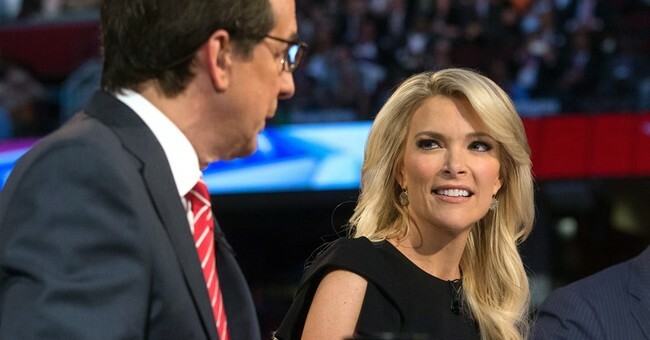 Remember, the headline - “Manbaby Trump on Megyn Kelly: 'Blood Coming Out of Her Wherever'” - really does look like this was meant to be a tirade on him, not her. Beyond not really standing up for Kelly, this really should have been titled as an indictment of Erick Erickson, if they were going to be truthful. It's easier to rip on conservative men than it is to stick up for conservative women in media, right? Anyway, trying to climb into their brains is at least a little confusing, since they decided to go into a tirade about the generally sexist nature of conservative men. Then they decided to go on about how the Republicans are outraged over how Trump treated Kelly, or something. One can only assume that they missed the calls for Fox News to remove Kelly from future debates. No, they didn't realize that there are some in the conservative ranks that are angry about the questions given to Trump during the debate. Remember the offending questions were about misogynistic statements Trump has made over the years, whenever he's been annoyed with just about any woman out there. Also, for a chaser, there was the comment about Rosie O'Donnell during the debate, which basically proved that he has no problem making those statements. No matter what, the sad fact is that Senator Lindsey Graham (R-SC) was right when he pointed out that Trump's comments were “not worthy of the office he seeks.” Also, no matter how much anyone might wish it otherwise, blood coming out one's eyes, ears, or nose is not a common turn of phrase. Sorry, Trump. As for Kelly, there isn't any question about whether or not she wants or needs the help of Jezebel or anyone else to defend her sensibilities. She is not a victim, and undoubtedly wouldn't appreciate the “help.” The offending questions also weren't out of bounds or ridiculous because they addressed issues that would definitely come up in a general election, if Trump would manage to win the GOP nomination. That said, conservatives need to seriously think about the man they are backing, if they currently riding the Trump bandwagon. If he can't handle questions like this now, why in the world should anyone think he would manage to roll with the punches when they're being delivered by the Democrats? One thing Jezebel definitely got right – those questions really were relatively tame in comparison with what he'd face in a general election. Conservatives should be defending and thanking Kelly for asking those questions now, since it would have been far more disastrous to find out how he would react to them heading into November next year.